Skiáthos, Skopelos, Alonissos and Skyros are the four islands of the Sporades group, with its large green neighbour Evia often included but not officially a member. These aren’t your classic Greek Islands of rocky cliffs and sugar-cube villages, but fertile, heavily forested islands with hills which roll down to some of the Aegean’s beast beaches. Beautiful beach views are on offer at some of the best places to stay in the Sporades Islands, as are peace and quiet, some wonderful walking opportunities and plenty of sunshine. Where to stay - which island? Sun-drenched and lush, Skiáthos was the first of the islands to be developed in the 1960s, and is surrounded by a ring of lovely beaches and a clear-as-crystal turquoise sea. The north coast of Skiáthos is less accessible than the south, which is where you’ll find more of the island’s resorts, but if you’re here to hike, or to find a quiet secluded spot, then the north, with its olive groves and plunging bays, is for you. Skopelos is large, green, peaceful and probably more beautiful than the other Sporades Islands. With impressive cliffs on one side of the island and sheltered bays and sand-and-pebble coves on the other. There are two mountains over 500m and an interior rich with vineyards, olive groves and plum and almond orchards. If this picture in words isn’t clear enough you could always check out the movie Mama Mia! which was filmed here. In the middle of a marine park and surrounded by a group of uninhabited smaller islands, Alonissos is one of the group’s least visited islands. You’re right to wonder why though - despite its small size, it has got beautiful beaches, with the cleanest, clearest waters and some of the best hiking routes in the Sporades. Green, rolling Skyros is the largest island in the Sporades group, known for its birdlife, its beautiful rocky coast and for its wild horses: Achilles was said to have ridden one into Troy. Greek mythology aside the island today is popular with the alternative arts, and health and wellness crowd. Be sure to visit Skiathos's Il Kastro, the ruins of what was once the Byzantine capital of the island. Located on the island's high point far from the hustle and bustle, you can marvel at the breathtaking views all around once you reach the top, and meander through the narrow ancient pathways which are still intact. If you're staying in Skopelos, visit the Vakratsa Mansion Museum. Housed in a beautiful 18th century villa, its exhibits range from the weird to the wonderful and certainly won't bore any visitor! Set off on a boat trip around Alonissos's Marine Park and enjoy the beautiful surrounds. You might even see some dolphins if you're lucky! Put on your hiking boots and set out to explore the verdant terrain ending up with a swim in a tranquil cove. A stunning collection of islands that brim with character and charm, use our guide to the best places to stay in the Sporades and start to plan your island hopping adventure. The Bourtzi Boutique Hotel, bang in the centre of Skiáthos Town, has 38 simple contemporary rooms in a fantastic location with easy access to the beach. There’s also a pool and a lively bar. For something special try the Aegean Suites, a five star property nestled in amongst the olive groves of Skiáthos, boasting a lush garden with sea views. The decor is neutral and beautifully cool, it’s possible to book a room with a private hot tub and there’s gourmet cuisine available in the evenings. Set amongst lovely grounds, the boutique Mandraki Village Hotel boasts spacious and well-lit accommodation as well as a gourmet restaurant upstairs. A top all-round spot. 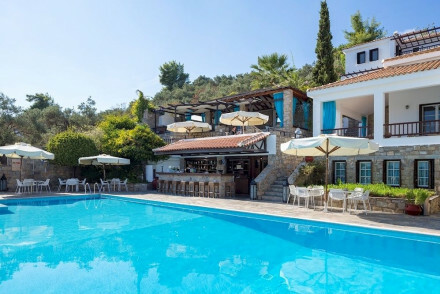 Skopelos’ Adrina Resort is a stunning (affordable) five-star resort with 38 rooms and a seaside location. The decor is plush, there’s an atmospheric beach restaurant, a deluxe spa and a huge garden. 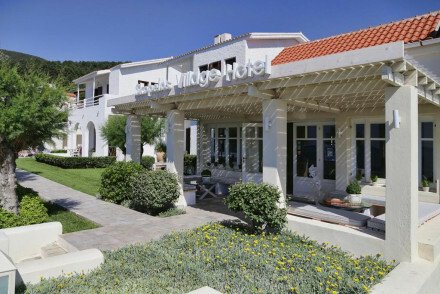 The Skopelos Village Hotel is in a prime, waterfront spot just a short distance from the centre of Skopelos Village. Its 48 rooms and apartments are unfussy and chic, and some have wonderful views. Friendly, charming and reasonably priced, this is a perfect spot for a relaxing short break - it’s great for families too. The 13 bright, contemporary rooms and suites of Alonissos’ Ikion Eco Hotel all have their own balcony with views of the mountains or the ocean. Close to 13 beaches, with the nearest just 150m away. Hotel Yalis is a great spot for families or groups. It offers comfortable, unfussy suites just a short distance away from the beach. The 32 room Nefeli Hotel has a chic, modern aesthetic, which is slightly at odds with its sleepy, historic surrounds in the hilltop town of Skyros, but makes for a comfortable, stylish stay. There’s a great poolside restaurant and a children’s pool. For those in search of self catering properties, explore the options at our online partner, Booking.com. Skiáthos is the only island with a commercial airport, Skiáthos International Airport, but it’s an easy ferry-hop from there to the other islands in the group. The best time to visit the Sporades Islands is from May to October, when the weather is at its finest - with an average temperature of 29°C in July and August. If you're looking to hire a car, visit our online partner Rentalcars. 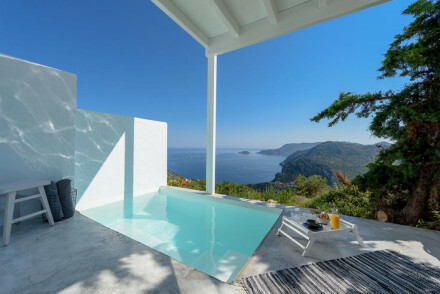 Have another look at our selection of the best places to stay on Sporades. 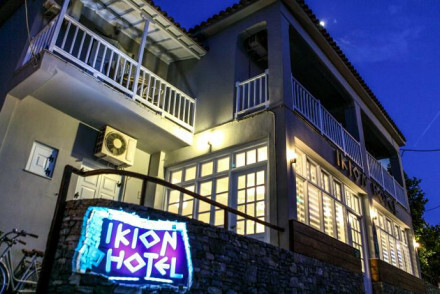 Try your luck with the best places to stay on Evia. Beach Life - Situated within walking distance of half a dozen beaches. Diving - Explore under the sea during a scuba diving lesson. A tranquil seaside hotel in a picturesque whitewashed hamlet. 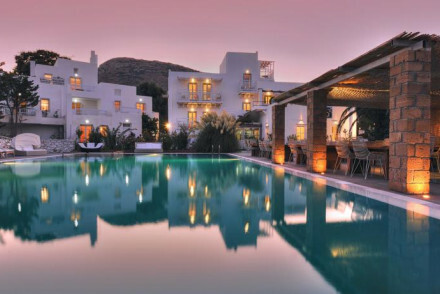 The walled pool surrounded by cabanas is the hub; delicious, quirky Greek food is served here and on the pretty restaurant terrace, while immaculate white guestrooms are stylishly minimal and fresh. Ideal for a sun-soaked seaside retreat! A hotel with a chic, modern aesthetic that is slightly at odds with it's sleepy, historic surroundings in Skyros. With sleek, comfortable rooms and a delightful poolside restaurant, it's the perfect place to unwind on a trip to the island of Skyros. A great place to stay for a romantic break. Sights nearby - Explore the beautiful, quaint streets of the hilltop town of Skyros. Local markets - Explore the local market of Skyros. Great walks - Go walking in the Skyros hills. 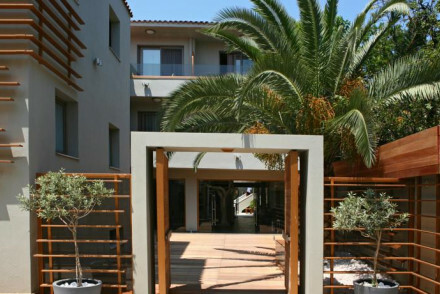 Skopelos Village Hotel enjoys a waterfront location just a short distance from the centre of town. Unfussy chic apartment style accommodation, offering wonderful views. Relax with a drink while the kids enjoy the playground! A friendly and charming stay. 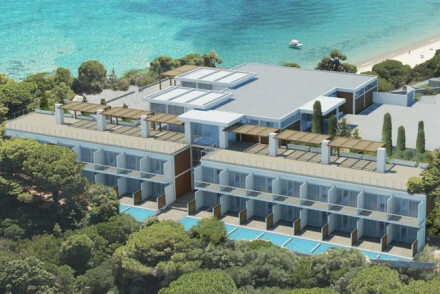 A stunning five-star resort that makes the most of it's sublime seaside location. Singularly focused on providing luxury and relaxation, the hotel offers plush rooms, an atmospheric beachfront restaurant, a deluxe spa and 17,000 metres squared of garden. A coastal wonder. Romantic Break - The beautiful seaside setting and pampering luxury suites make it the perfect intimate getaway for two. Great walks - Wake up early and head off along the beautiful walking routes that litter the surrounding coastline. Sights nearby - Nine miles from both Skiathos Castle and Papadiamantis' House. A simply decorated contemporary hotel in the town centre with easy access to the beach. Modern no frills rooms in white and pastel colours with private balconies. Pool and lively bar. A great base for a beach holiday. A stylish resort on a pine headland with wrap-around views and stunning beaches on its doorstep. Choose between understated and elegant hotel rooms, suites or villas in muted fresh tones, with hip artworks and pools galore. Expect to be delighted by its two fabulous restaurants and indulgent spa! A 5-star hotel nestled among olive trees and gardens with sea views, just outside Skathos Town. Rooms are beautifully cool, all neutral hues with a smattering of subtle pastel shades. A light lunch can be had poolside and there's gourmet cuisine by night. Luxury beach chic moments from the action.